Taking tea with Valerie - Patisserie Valerie afternoon tea | gingerbread smiles. 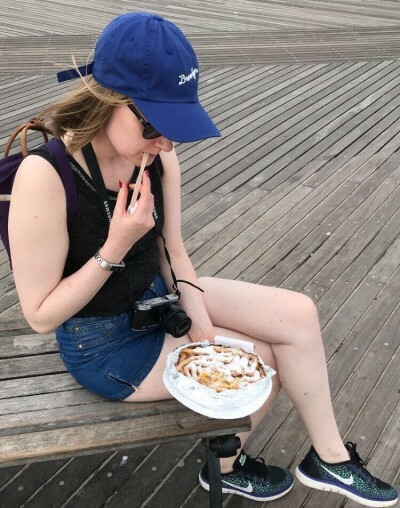 Among my friends and family, I'm known as someone who goes out for food quite often. Anywhere someone is interesting in going, I've probably been and can give an in-depth review, or direct them to my blog (#pageviews). So when Christmas rolled around, Matt's Uncle decided it would be a great idea to buy us an afternoon tea for two at Patisserie Valerie, which has not long opened in Middlesbrough. Having only ever been for cake and a warmed croissant sandwich, I couldn't wait to try their afternoon tea. After an especially busy period at work, I took a random Friday off and we ventured to Durham for the day to redeem our afternoon tea. From where we'd parked, we walked up the stairs to ground level and Patisserie Valerie was staring us right in the face. We ventured to the cafe around 2.30pm, after a wander around the town, trying to spot the Marvel Avengers cast, and were seated immediately. 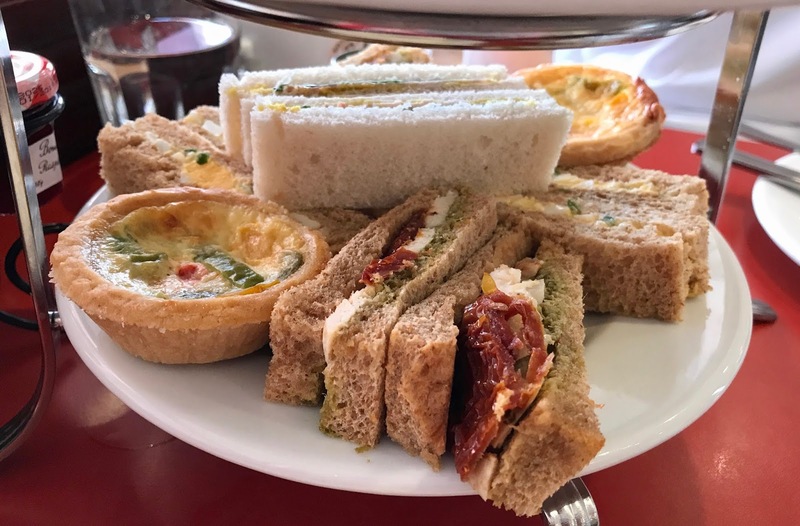 Our afternoon tea didn't take long to come out and it looked packed with yummy treats. We switched out a few of the sandwiches and were left with chicken, sun-dried tomato and pesto, egg mayonnaise and ham and mustard. As an extra in this afternoon tea, we both had a small, warm, vegetable quiche which was a lovely addition. Having worked our way through the sandwiches, which were very fresh and tasty, we were on to the scone level. We had a plain and a fruit scone accompanied by four different mini pots of jam, clotted cream and butter. The scones were the perfect mix of firm, yet soft, and when accompanied by unlimited cups of tea, were great. Finally we reached the top level, the cake! 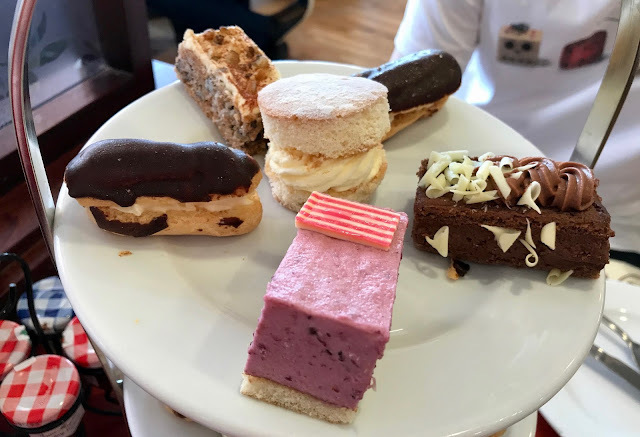 It was a bit disappointing that we only had one of each type of cake, apart from the chocolate eclair, which meant we had to split the small servings of cake. I tried the chocolate and the carrot which were both very nice. Overall for a 'chain' cafe, this afternoon tea was of a very high standard. 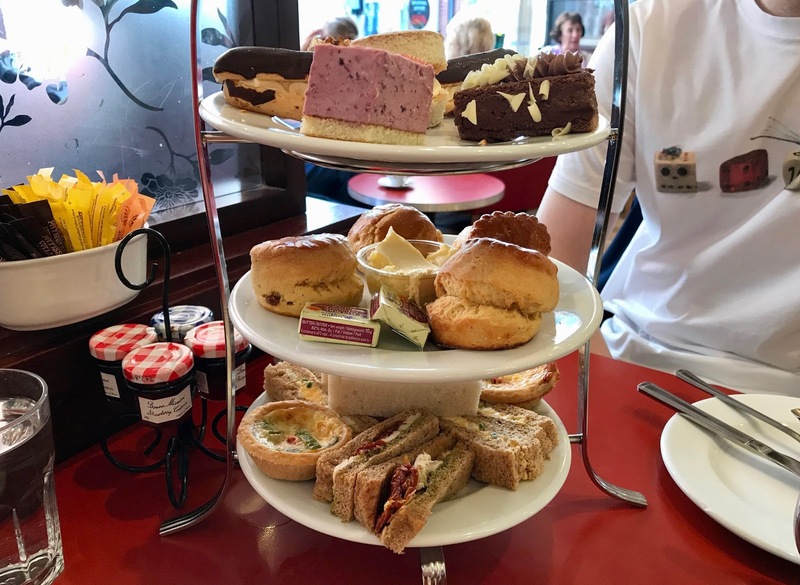 Patisserie Valerie pride themselves on their top-notch cakes, and their afternoon tea didn't falter on creativity or quality. 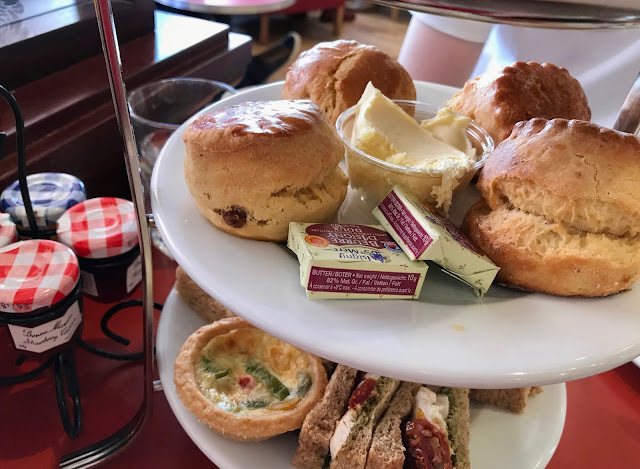 For £25 for two, this afternoon tea is very reasonable and could be taken whenever you fancy it. I've never had the Patisserie Valerie afternoon tea, even though we have one in Bradford now so no excuses not to give it a try! It is a bit weird that you only get one of each cake though - I can definitely see that leading to arguments!